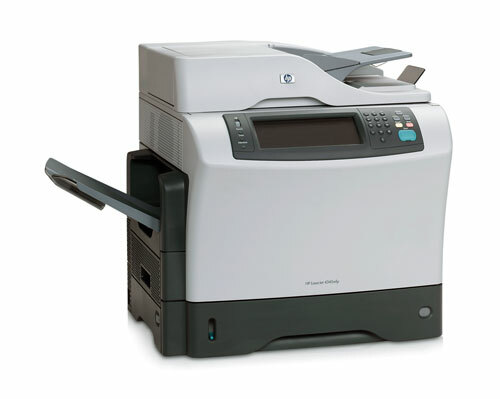 The HP LaserJet 4345 series printers are multi-functional units designed for medium to high usage office and home environments. It can print, copy, scan, and fax. 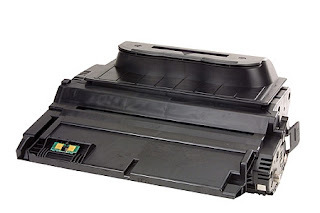 In addition, print speed can reach up to 45 pages per minute. Most of our customers are very happy with this sturdy printer series and the accompany Q5945A toner. 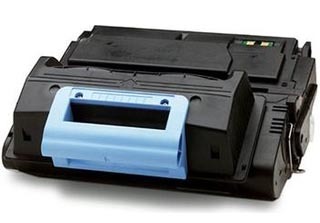 The MICR toner version is also available for check printing needs that require magnetic inks. However, a recent question that one of our blog viewers raised was lighter printed character after switching to a new printer. When comparing the printed results with the previous printer, the images also appear darker than the ones produced by the old printer. If cause of the light printing issue is not due to the change of machine, the toner might be low in ink. One way to temporary solve the problem is by taking out the cartridge and gently shake it to re-distribute the ink inside. This should cover for few more regular printout pages and provide some time while waiting for the new toner to arrive. Please contact sales@toner-spot.com if you have other questions and we will be happy to assist you. Current 10% off promotion on all website orders with coupon code SP2016 at www.toner-spot.com. Free shipping contiguous U.S. states for orders over $75.